I am an Associate Conservation Scientist with Wildlife Conservation Society Canada in the Arctic Beringia Program. I'm based out of the Department of Biology at the University of Victoria in Francis Juanes' lab. My research focuses on the Arctic underwater acoustic environment, and how climate change and shipping impact the environment and the animals that live in it (check out our program website, www.arcticnoise.ca). My main focus is on the acoustic ecology of bowhead whales (Balaena mysticetus), beluga whales (Delphinapterus leucas), bearded seals (Erignathus barbatus), and ringed seals (Pusa hispida) in the Beaufort Sea of Canada (listen to these marine mammals here), and to a lesser extent, Arctic fish. I've examined seasonal patterns and environmental drivers of the underwater soundscape and marine mammal vocalizations in the eastern Beaufort Sea, acoustic propagation of ship noise in Arctic waters and the impacts of ship noise on marine mammals along the shipping corridor through the eastern Beaufort Sea and Amundsen Gulf. Current projects are looking at shipping policy and management of vessel traffic to conserve marine mammals, continued monitoring of marine mammals, noise levels of ships in the western Canadian Arctic, impact of ships on marine mammals in core use areas, and estimating the location and source levels of whales and ships using underwater acoustics. I completed a postdoctoral fellowship (2016-2017) with WCS Canada on these same topics, where I was supervised by Steve Insley. I also work on some fishy side projects in Francis Juanes' lab with other collaborators at the University of Victoria, McMaster University, and Fisheries and Oceans Canada. Projects include acoustic monitoring of glass sponge reefs and rockfish conservation areas, and soundscape ecology of plainfin midshipman fish. Listen to some example sounds from those projects here. I completed my PhD in the lab of Gabriel Blouin-Demers in the Department of Biology at the University of Ottawa in 2016. I studied the relationship between density-dependent habitat selection and temperature, using common gartersnakes (Thamnophis sirtalis) and red flour beetles (Tribolium castaneum) as model organisms. I also conducted additional research related to the fitness of ectotherms, including how temperature affects different aspects of fitness such as fecundity, locomotion, survival, and lifetime reproductive success, as well as studies focused on foraging and predation risk. I completed my MSc in the Department of Biology at Lakehead University in the lab of Douglas Morris in 2012. I studied how interspecific competition between two species of small mammals, meadow voles (Microtus pennsylvanicus) and red-backed voles (Myodes gapperi), can lead to patterns in distribution and foraging that can look like patterns caused by predation risk. This pattern is known as apparent predation risk. I similarly completed my HBSc in the Department of Biology at Lakehead University in 2010, and spent three summers as a field assistant for Doug Morris, and an additional year as a field assistant for Brian McLaren. 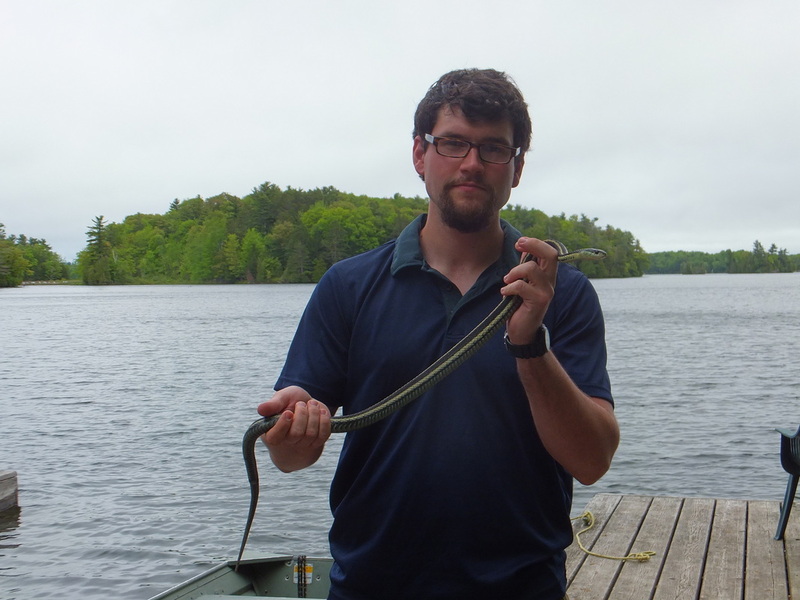 I worked on several projects, including habitat selection and behaviour of lemmings in the Canadian Arctic, habitat selection by voles, mice, and hares in northwestern Ontario, and my Honours project working with lake sturgeon near Fort Frances, Ontario. First and foremost, I am interested in learning more about the natural world. I have worked on a wide range of animals and a wide range of research questions because I find most things in ecology very interesting. I am interested in a variety of basic research areas in ecology, including the fitness consequences of various behaviours such as foraging and habitat selection. I am generally interested in the ways in which animals use behaviours to maximize fitness. 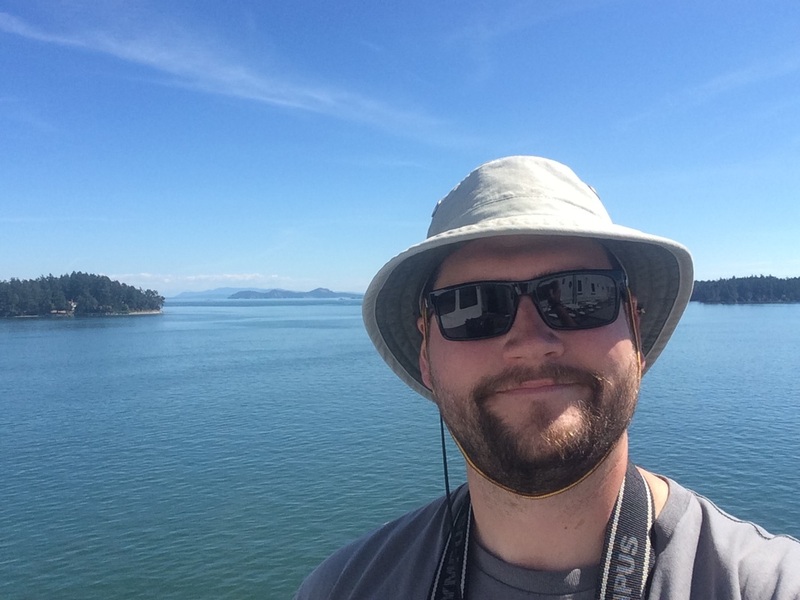 I am also interested in applying basic questions in ecology to conservation, and am especially interested in any ecological research that can help conserve species.